Lake WeedRakerTM. Long. Wide. Deep digging tool wages war on shoreline weeds. Taking care of business. 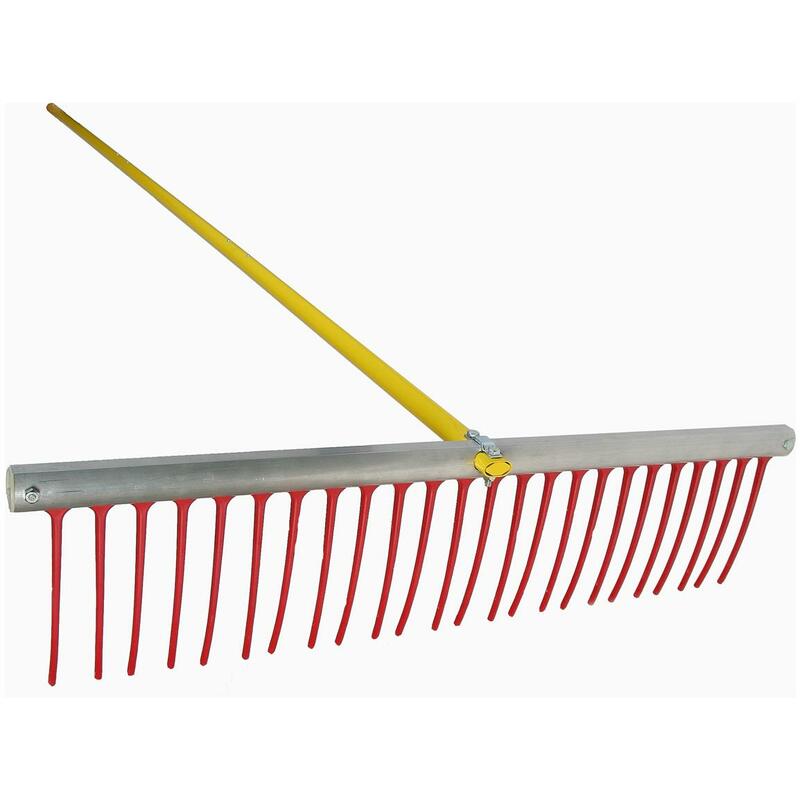 Here's a jumbo Rake especially designed for removing lake and pond aquatic weeds and muck. Also great for collecting floating debris. It's designed to dig and pull the stems and roots, slowing or eliminating their growth. Use the Rake to remove organic matter on the bottom of your lake or pond, which fuels the regrowth of more weeds and aquatic vegetation. Works like a champ for years of service! Rake head: 37". Raker tooth: 8". Weighs less than 7 lbs. For years of shore patrol, order this must-have workhorse today! Lake WeedRaker is rated 4.9 out of 5 by 11. Rated 5 out of 5 by Julius from It works The prongs are plastic, so at first I had my doubts. But after trying it, it does actually work. To throw it past 20 or 30 feet you would have to be Hercules. Rated 4 out of 5 by cpt chaos from well built just got the rake and went to work on the weeds in my pond. works good in shallow water. in deeper water, 3 ft.+ in rotates before it hits the bottom and the teeth always are in the up position. the instructions are void of correcting this deficiency. Rated 5 out of 5 by Jeff from Great product Nice rake! Rated 5 out of 5 by Capt Chet from Works fantastic! The first time I used it away went the weeds. I used it in shallow water and simply drug it along the bottom. Reasonable weight of tool made the project go smoothly with normal amount of exertion. Really great. Your way to a cleaner pond. Easy installation, impressive, long-lasting results! Designed for all types of roll-in docks and boat lifts! Superior styling, expert craftsmanship and efficient design.